Examliv, the pioneer of exams news and jobs news. In this site we are ready to share with you the latest exam,admit,admission,jobs,requirements news. 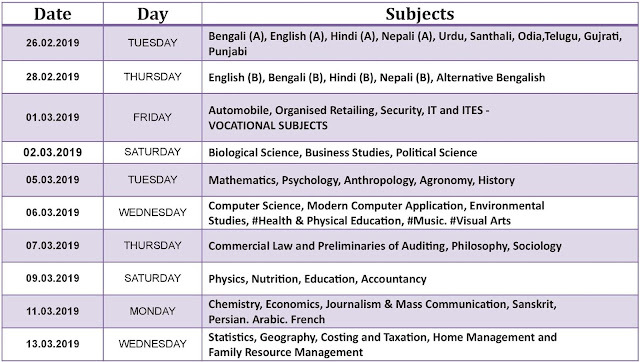 Besides its comprehensive news coverage and updates every hour, Examliv offers wide range of extraordinary insights on topics ranging from exam, results, notice, notification, requirements, College, admission, entrance,UPSC,civil service,RBI,SBI PO,IBPS,IBPS PO,SSC,CGL, Railways,LIC, Clerkship,TET, Teacher's Eligibility Test,WBCS,WBBSE,WBCHSE,Kalyani,Aliah,Aligarh, Calcutta University,etc.